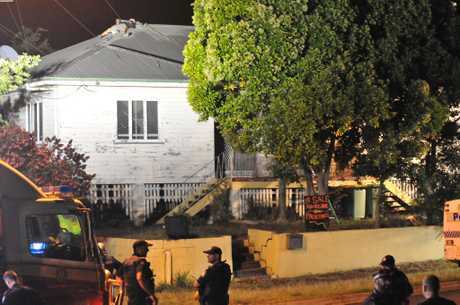 A MAN who spent 14 hours in negotiation with police while on a Gympie rooftop overnight has been charged. The 32 year-old Gympie man, who was wanted on a return to prison warrant, was arrested when he surrendered to police at 6.45am this morning, and taken to the Gympie watch house. He has been charged with two counts of trespass, unregulated high risk activity, obstructing police and wilful damage. The damage charge is for allegedly punching the roof and ripping off the adorning whirly bird. The man has not been charged with any drug offences, but police said he had admitted to emergency services he was under the influence of amphetamines. 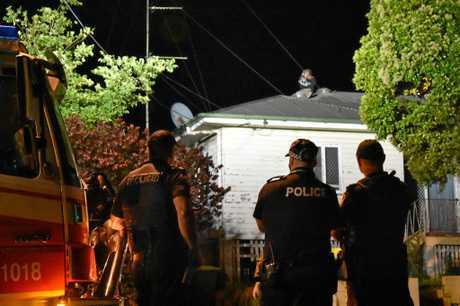 Gympie police senior constable Jon Roche said the man was first reported to police yesterday afternoon as allegedly running through yards in the Mt Pleasant area before climbing onto the roof of house unknown to him about 4pm. Negotiators spoke with the man all night, while police officers and a number of emergency services were on standby at the scene that saw part of Mt Pleasant Rd blocked. 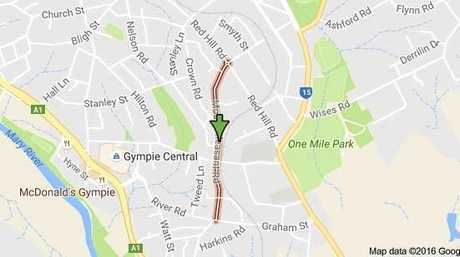 "It was a huge disruption to neighbouring residents," Snr Cnst Roche told The Gympie Times. "But it could have been a lot more protracted and a lot more serious." The man will remain in custody overnight and front Gympie Magistrates Court tomorrow. A 14 hour standoff between police and a wanted man who cornered himself on a Gympie rooftop overnight has come to an end this morning. 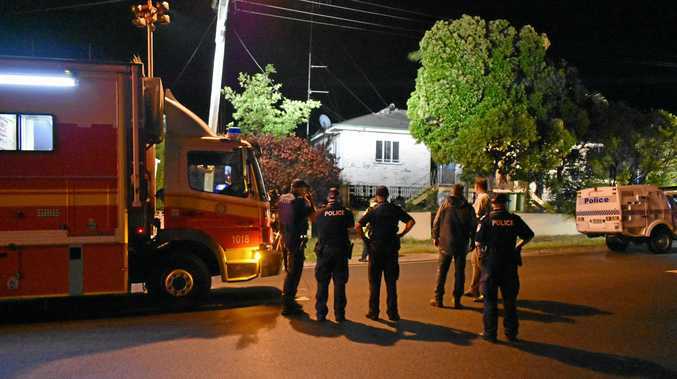 The man surrendered himself peacefully about 6.45am after a team of negotiators from Gympie, the Sunshine Coast, Hervey Bay and Bundaberg took shifts talking with him through the night from the top of a car port attached to the Mt Pleasant Rd home. But "tired, cold, hungry and thirsty" were the most likely contributing factors that helped put an end to the continuing saga, Gympie police Sergeant Shaughan Lanham told The Gympie Times this morning. The man, who was wanted by police on a return to prison warrant, came down voluntarily after spending the rainy night on the roof, sleeping in patches between negotiations with police, while a team of police, ambulance and fire and rescue officers were on standby below. Despite the length of time it took, the man showed no signs of aggression through out the standoff, Sgt Lanham said. "He was never violent towards us, but his agitation came and went through the night," he said. Sgt Lansham said police did not enter the roof top because the wet and slippery conditions and the height of the building made the situation dangerous. "It takes longer but it's a much better outcome if he comes down by himself," the sergeant said. The man was taken to the Gympie watch house this morning where existing charges are being dealt with and new charges are being laid. He is likely to appear in Gympie Magistrates Court tomorrow. POLICE are in negotiations with a possible violent man who is wanted on a return to prison warrant and has camped himself on a Mt Pleasant Rd roof. A huge resource of police, paramedic and fire and rescue officers have been at the scene since 4.30pm Saturday afternoon after a woman raised the alarm when she contacted police and exclaimed: "There's some lunatic on my roof." The man is believed to have no connection to the house and reports of him running through nearby yards before he staged himself there could mean his choice of refuge is random, but is not confirmed by police. Gympie police acting senior sergeant Kylie McLellan said the man, who is from Gympie and thought to be 32-years-old, told police when they first began negotiations with him that he would surrender. However negotiations have been made slower with the difficulty of reaching him and the danger of him becoming aggravated increasing, A/Snr Sgt McLellan told The Gympie Times. In the time the Gympie Times was on the scene the man was shifting positions on the roof from sitting to lying down and using some sort of material to cover his face. He had reportedly removed his shirt during some of the time, but had dressed again. He was also yelling out intermittently to police below and at one stage asked for attention from the media, but later changed his mind. A/Snr Sgt McLellan said when negotiations were complete the man would be taken into custody for his outstanding matters and any possible new charges, but she had no way of telling how long it would be before he cooperated with police. She agreed it could take all night. The area surrounding the house, including part of Mt Pleasant Rd, remains blocked off.